Outgoing postcard US-2698982 to Germany shows the High Roller, the World's tallest Ferris wheel at 550 feet or 168 meters, during a testing run with 2,000 green LED lights on over the St. Patrick's Day weekend. It formally opens to the public today at 1 p.m. on March 31, 2014. 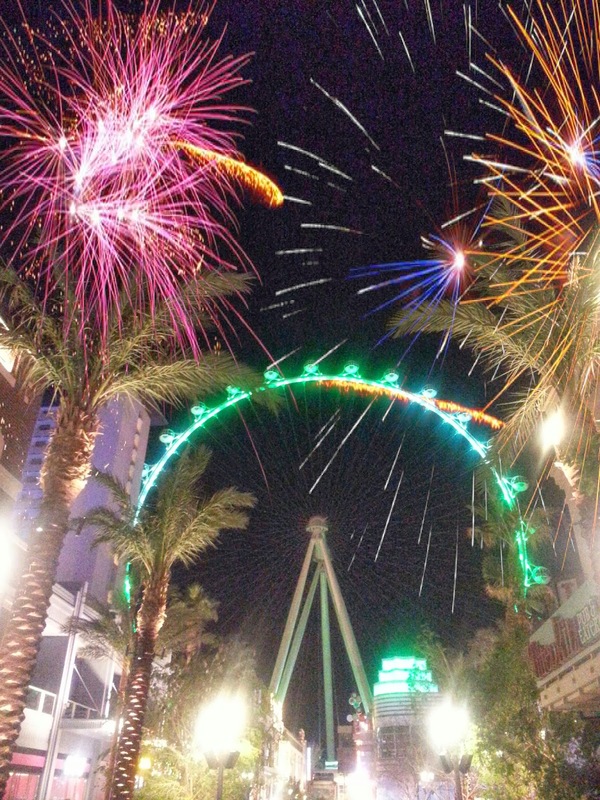 With 28 cabins that can lift up to 40 people each (up to 1,120 people in total), the tallest observation wheel in the world is located at The LINQ, an open-air dining, retail and entertainment district, between The Quad and Flamingo, which was first opened on December 27. 2013. It is the property of Caesars Entertainment. A ticket for the 30-minute ride starts at $24.95 plus fees.